Summary: Google Maps provides users with access to functionalities that you might not have heard of. Most of you are already familiar with Google Maps. And, most of you probably use it to calculate the fastest route for your trip or view a panorama from the street. What you might not know is that Google Maps can let you travel in time, calculate global distances, and walk through foreign cities as if you’re actually touring the area. 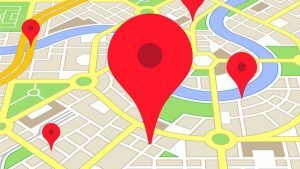 Here are some hidden features that you can play with the next time you’re using Google Maps. You’re probably already aware that Google Maps has Street View, which allows you to look around the designated area in a 360-degree panorama from the street level. Since 2007, Google has added millions of locations from across the globe. So, you’re probably wondering how you can go about with time travelling. Well, if you search for a specific location and click on the Street View, Google Maps allows you to click on a time frame at the exact spot from year-to-year (it may not be up-to-date to the latest year). By doing this, you’ll be able to take a look at the location from back to 2007 all the way to the present time. Google Maps also allows the users to measure the distance from between two points on Earth with a click of a button. Simply select Measure Distance and drop a new point on the map. Next, click on another section of the map and the distance between the two points will be calculated. You can tap on the map to add more dots. A footnote at the bottom of the map will also show you the total area and total distance in both US and Metric measurements. It’s essentially a customized map that you can edit freely at any time. About the Author: Pierre Zarokian is a digital marketer that runs and SEO company and social media marketing company. He is a contributor and Search Engine Journal and Visibility Magazine.